Villa Market’s founder and president, Khun Surapong Poosanakhom, first experienced the role that imported products could play in enhancing people’s lives when he was working with the US Commissary in Bangkok during the Vietnam War. The end of the war was an uncertain time for Thailand, as many people were concerned what the future held. Khun Surapong was certain that his future lay in providing the people of Thailand with access to the best local and international food products available. 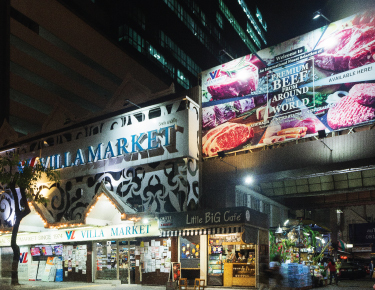 It was in 1974 that Villa Market – a “World of Foods”, was born, with it’s original store, on Sukhumvit Road just after Soi 33, and it is still operating to this day. This store never closes and remains Villa Market’s only 24 hour trading store. 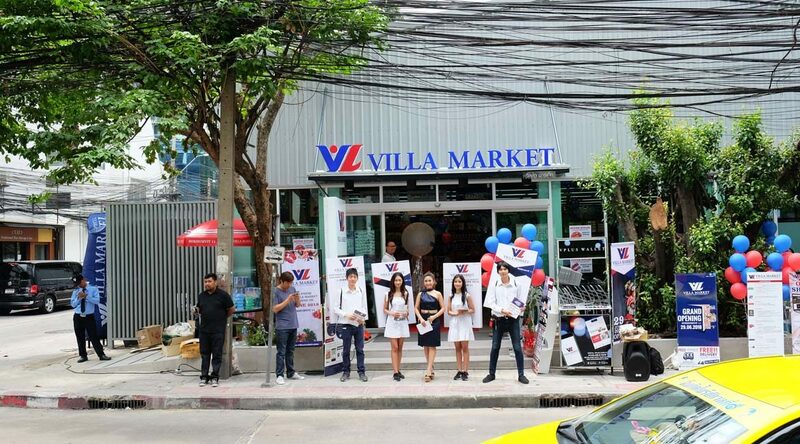 Villa Market has grown significantly and now has 33 stores nationwide – ranging from Phuket, Hua Hin and Pattaya in the South to Udon Thani in the North, and all across Bangkok. 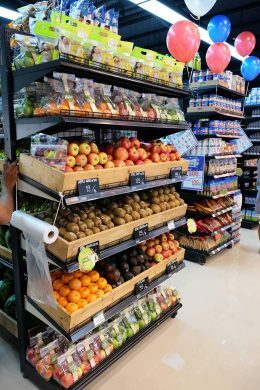 The latest addition to the Villa Market family is the new Sukhumvit Soi 11 store which packs all of the international favourites found in their other stores along with the best fresh food in town. Villa Market spends a lot of time scouring the world for the best available products to bring back to Thailand for their customers. Their buying teams spend a lot of time travelling to meet suppliers and producers in orderto provide their customers with “Products from Home”. Fresh food is an integral part of any Villa Market store. They offer products flown in fresh from around the world as well direct from local farms. The Villa Market Super Steak and Best Buy fresh beef ranges have been selected by Khun Surapong to represent all that Villa Market strives to be – good value and excellent quality. They include a mix of overseas and local beef in order to provide something for everyone. Villa Market has been a pioneer in Thailand’s supermarket industry having introduced a number of new concepts for its customers over the years and continues to transform with the recent launch of their Villa Market digital Vplus card which includes an eWallet should customers choose to use it. Please see: https://shoponline.villamarket.com/ vplus-reward for more information. Villa Market also understands that their customers don’t have as much time as they used to and that means that sometimes it is not easy to get to their stores. That’s why they offer you more ways to shop with Villa Market. 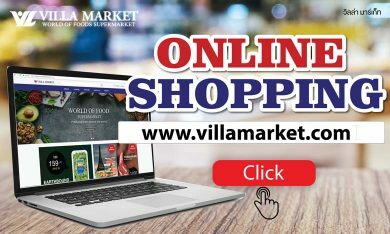 You can visit www.villamarket.com to browse their selection of international and local products and have them delivered to your home at a time convenient for you. You may want to choose the pickup service which allows you to choose your products and have their staff pick and pack them for you. Many customers like this service as it allows them to have staff pack their dry grocery items in advance whilst they can choose their fresh items themselves when they visit the store.